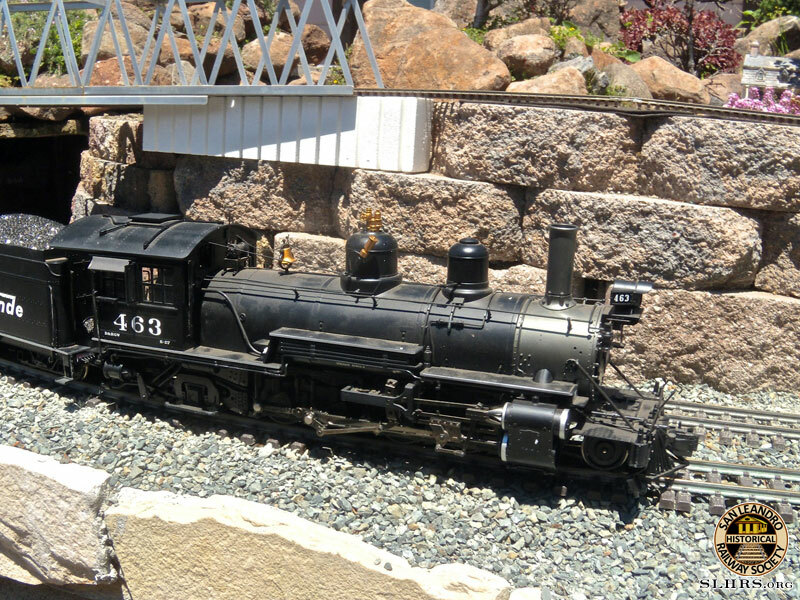 The G&O Garden Railroad is the only public garden railroad in Northern California. The railroad consists of both G gauge and O gauge (3-rail) displays, hence the G&O name. Please see our home page for our operating hours. Construction started in May 2008 and will never be finished. Learn more about G gauge on Wikipedia. Learn more about O gauge on Wikipedia. The G&O Crew invites you to visit us soon and often whenever you visit the San Francisco Bay Area! You are sure to see something different every time you visit as we’re constantly evolving. 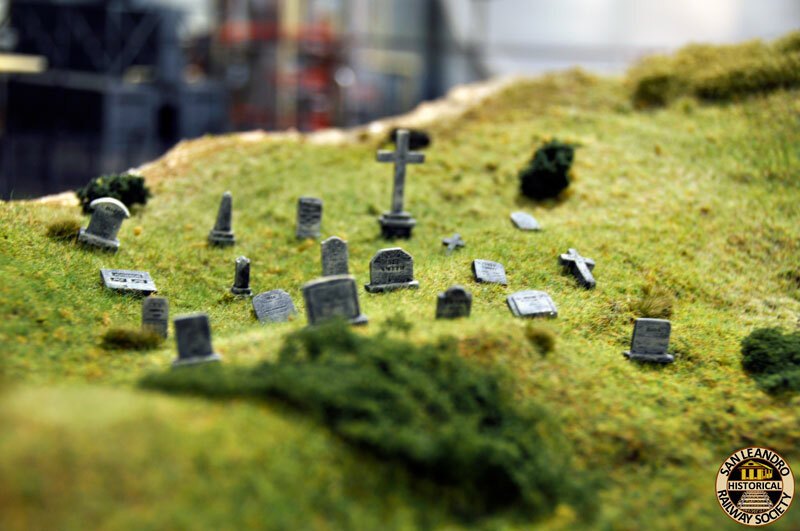 The display is located in a 61′ x 20′ area with a 35′ x 23′ ‘L’ at the East end. The total display area is 2,025 square feet. The average width of the display is 10 feet. The display is built inside a raised cinder block wall that is filled with soil. The average wall height is 36″. The Children’s Display wall is 19″ high. There are 15 bridges throughout the display. Most of them are scratch built by current and former members. Norris Falls is located at the display’s entrance and depicts a typical California mountain stream. The unique fire feature depicts a fire crew and helicopter fighting a California forest fire. Twelve-volt submersible boat bilge pumps recycle non-potable well water through both features, minimizing our impact on the current California drought. There are 4 distinct planing areas. The East end has a California mountain theme surrounding Norris Falls, which includes dwarf Alberta Spruce and a group of dwarf Bald Cypress. This transitions to a desert theme featuring cacti and succulents. The display is divided in the center by Bouey Canyon. Immediately to the West of the canyon is another California mountain theme. This is followed by the Children’s Display with dwarf Hinoki Cypress, Seiju Chinese Elms, and miniature pomegranate. The display contains over 50 trees. We use non-potable well water for our irrigation system to minimize our water usage. The SLHRS holds several shows throughout the year. The theme and buildings change for each show. 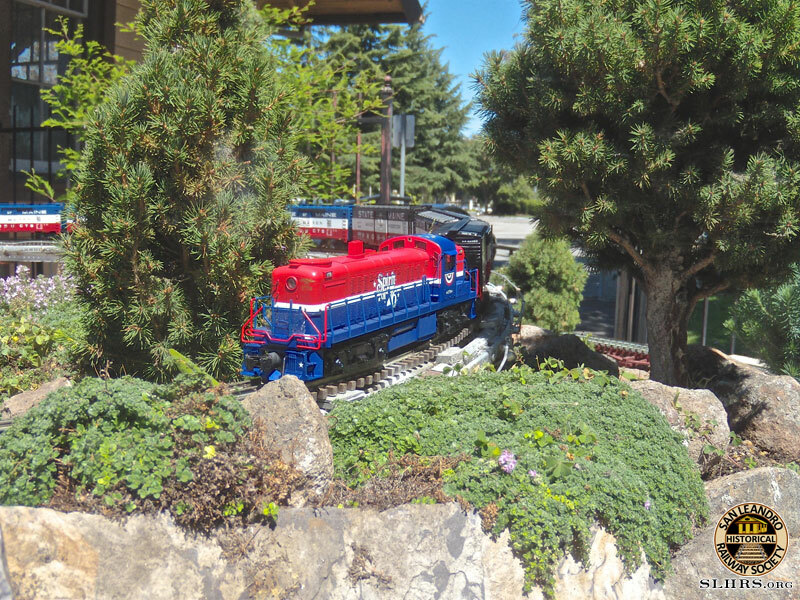 The G gauge display can operate by track power, battery power, or live steam on two long loops of track. Each loop has a passing siding in the staging area that can be individually controlled by switches. The O gauge display uses a 3-rail track system. It can operate convention and command control trains on a “coast” and “mountain” line. 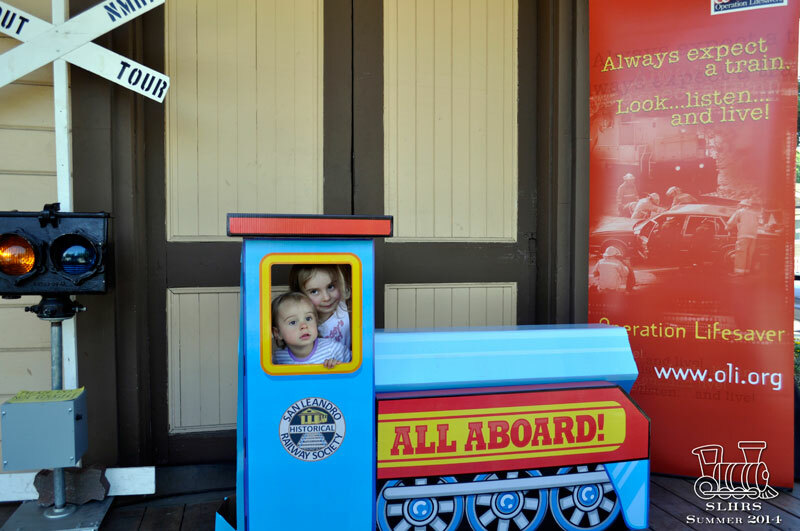 This display is designed to introduce children and their families to the garden railroad hobby. the controls are placed so that kids can run the trains. The display has one G gauge loop, one G gauge back and forth track, and two O gauge loops. There are no switches for easy operation for kids of all ages. 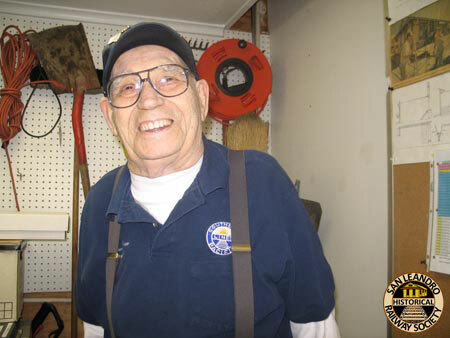 Check out this video & song about the G&O by former member Glenn!